StS are pleased to announce its new portable gas detection device available for hire in the UK. 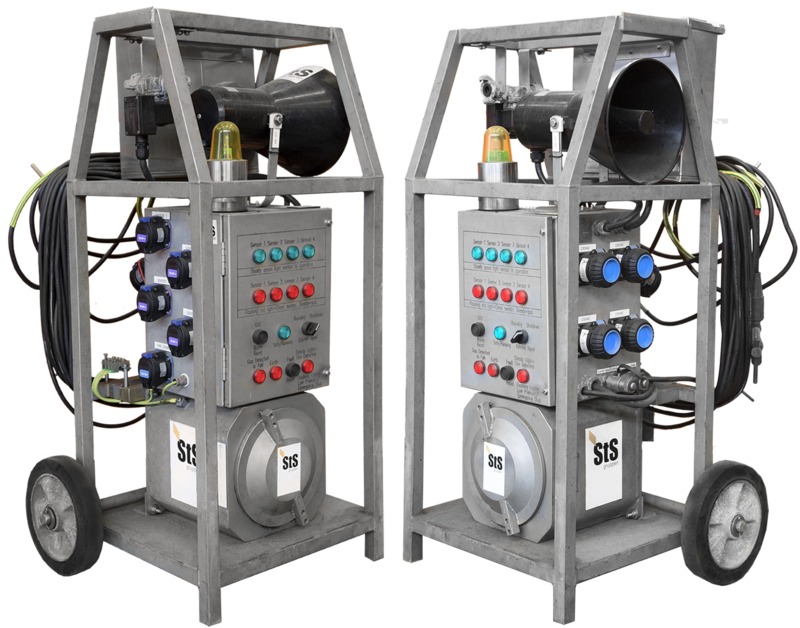 The Octopus Gas Detection Ignition Shutdown Technical System is especially designed for use during hot work operation and can be used in onshore and offshore installations for detection, alarm and shutdown in case explosive gases are present. The Octopus GDISTS™ boasts a number of novel features alongside its rugged design. Electrical and pneumatic equipment can be directly connected to the system allowing for automatic shutdown of multiple types of ignition sources on detection of gas. If gas is detected, the system gives acoustic and visual local alarms, power outlets and pneumatic outlets are switched off, and in addition can provide an alarm signal to the control room if connected. The system has 4 IR HC gas detectors on cable drums with 40m cable, and 4 power outlets (total max. 16A) fitted to the unit. This allows for widespread coverage of an active area both with detection and power provision.